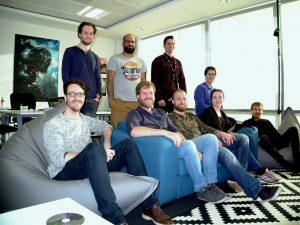 Atomhawk has brought in nine new members of staff and expanded its studio space at Gateshead's Northern Design Centre. The new hires include eight new artists hailing from locations including South Africa, Iran and Australia. In addition, Becky Jackson joins as account manager to head up the studio’s production team, which works with clients including Warner Brothers, Marvel and Lego. And principal artist, Drew Whitmore, has come from USA to join the team having previously worked at games studios Vicarious Visions and Carbine Studios, where he worked on brands including Wildstar, Guitar Hero and Skylanders. Whitemore said: “I’m delighted to be joining Atomhawk at such an exciting time in the studio’s development. Atomhawk CEO, Cumron Ashtiani, added: “We’ve just taken on additional space in our current building and turned it into a great looking meeting and games room so we could free up space in the main studio for all the new faces.